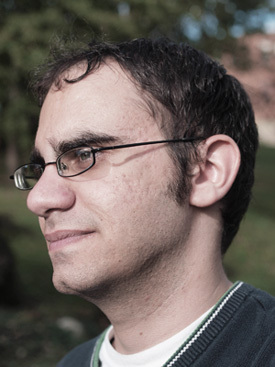 In celebration of National Poetry Month, we bring you a thoughtful reflection by Brian Fanelli, poet and Wilkes University Creative Writing Alumni. It’s that time of year again. The temperatures are climbing. The snow is melting. Birds are chirping. And it’s April—National Poetry Month. This year, National Poetry Month has the support of one of the biggest celebrities in the world—Oprah. The current issue of her magazine, O, is guest-edited by Maria Shriver and features a lengthy section on poetry. The fact that a magazine as mainstream as O has caught on to National Poetry Month has sparked more public discourse regarding the relevance of National Poetry Month and whether or not the month does more harm than good for poetry. But what few people seem to be asking is how to get poetry into communities and schools beyond the month of April. Started by the Academy of American Poets in 1996, National Poetry Month aims to “widen the attention of individuals and the media—to the art of poetry, to living poets, to our complex poetic heritage, and to poetry books and journals of wide aesthetic, range, and concern,” according to the organization’s website, www.poets.org. O’s special poetry issue caught the attention of New York Times’ writer David Orr, who in his article, “Oprah’s Adventures in Poetry,” pointed out some of the positive and negatives of a magazine as mainstream as O trying to make poetry cool and accessible to the general public, using quotes about poetry from celebrities such as Bono, James Franco, Mike Tyson, and Ashton Kutcher to do so. First, Orr cracks that only a “snob or idiot” would complain if Oprah’s magic wand is waved his or her way. He also confesses that he tried to get his latest book about poetry, Beautiful and Pointless: A Guide to Modern Poetry, covered in the special poetry issue. Second, he does point out that the magazine runs an intelligent book section under the direction of former Publishers Weekly editor Sara Nelson, who employs some excellent critics, including Francine Prose. Furthermore, the special poetry issue does have its strengths, including a profile on W.S. Merwin, thus exposing him to a readership that may have never heard of him otherwise, despite the fact he won the Pulitzer Prize in 1971 and 2009. However, Orr also points out some of the absurdities of the magazine’s attempt to seriously cover poetry. He criticizes some of the questions the magazine asks poets, including “where do poems come from,” and the answers that make it sound like poetry is “God’s own electric Kool-Aid acid test.” In addition, the magazine’s spotlight on poetry mostly includes poets already well-known, including Mary Oliver, Billy Collins, and Maya Angelou. Orr also admits, and this can also be said for the attempt of National Poetry Month to make poetry mainstream, that “the chasm between the audience for poetry and the audience for O is vast, and not even the mighty Oprah can build a bridge from empty air.” Some attempts to make poetry cool can seem silly, including a section that features “eight rising poets” posing for spring fashion shoots. 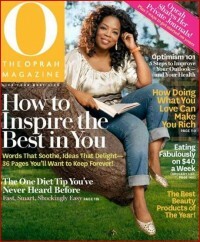 It’s obvious how Bernstein would feel about O magazine getting poets to pose for photo spreads in $500 outfits. Still, though, despite some of his criticisms, Orr does credit Oprah for at least trying to bring poetry to a wider readership. He again praises the profile of Merwin and the book list the magazine provides for anyone first getting into poetry. But what Orr, O, and even Bernstein fail to address is how to bring poetry to a larger audience beyond the month of April. Some suggestions about bringing poetry to a wider readership were made by Dana Gioia in his essay “Can Poetry Matter?,” and a lot of the suggestions still work well today, including his idea that mixing poetry with other creative mediums, such as music or art, is one way to bring in new readers. His suggestion for poets to share a poem or two by another writer at a public reading is also a good idea and a way to expose audience members to other poets. In today’s social media age, it’s easier to bring poetry to others. Why not post a line or two from a poet as a Facebook status or a Twitter update? Poets and poetry readers can also use those networking sites to promote readings and books by other poets. All it takes is a quick click of the mouse. In addition, anyone talented at poetry should consider spreading his or her knowledge and love of the craft by getting out into the community, doing readings, residencies, and workshops. Community art spaces often welcome such events. It doesn’t take a magazine as big as O to bring poetry to a wider readership, nor should it only happen one month out of the year. Brian Fanelli is the author of the chapbook Front Man, a series of narrative poems about a fictitious front man of a punk rock band. His poetry has recently been published by Young American Poets, Indigo Rising Magazine, Boston Literary Magazine, WritingRaw.com, Chiron Review, and Word Riot. He finished his M.F.A. in creative writing from Wilkes University in 2010, and he currently teaches writing and literature at Keystone College. Visit him at www.brianfanelli.com.